Twin Waters Golf Club (TWGC) collects information about our visitors so that we can provide an experience that is tailored to their preferences. Since the privacy of our visitors is of paramount importance to TWGC, we wish to protect it and maintain the trust of our visitors while collecting the information necessary to do this. TWGC is fully committed to providing information about the collection and use of personal information furnished by, or collected from, visitors while using our website, products and services. Below is an explanation of the information we collect, how we use it, and why the use of this information will benefit our visitors' experience. The websites owned and controlled by TWGC, may ask for and collect personally identifiable information in order to provide a customized experience. Visitors are given notice of this request. Visitors will be informed about how TWGC may use such information, including whether it will be shared with carefully selected third parties. In most cases, the information a visitor provides is added to our database in order for TWGC to provide personally tailored messages, which are delivered online. Visitors will always be offered the choice not to provide personally identifiable information or to have it shared with others. Please note that TWGC does not control and will not be responsible for the privacy policies of third party websites, or websites not controlled or authorized by TWGC. Third party websites that are accessed through links on our websites have separate privacy and data collection practices, and security measures. We have no responsibility or liability for the practices, policies and security measures implemented by third parties on their websites. We encourage you to contact them to ask questions about their privacy practices, policies and security measures before disclosing personal information. Although 'guaranteed security' does not exist either on or off the Internet, we safeguard our visitors' personally identifiable information by using industry standard practices. Currently, our websites utilize a variety of different security measures designed to protect personally identifiable information from unauthorized access by users both inside and outside TWGC. A cookie is a very small text file that is sent to a visitor's browser from a web server and stored on the visitor's computer hard drive. It assigns the computer a unique identifier. It is essentially the visitor's identification card when she/he returns to the TWGC site. Cookies save visitors time because they help us to provide the visitor a customized experience without having to remind us of her/his preferences each time she/he returns to our web pages. TWGC cookies cannot damage visitors files, nor can they read information from the visitor's hard drive. TWGC cookies do not follow visitors when traveling on the INTERNET after leaving TWGC websites. We track the usage of our websites in order to modify it according to our visitors' need. We pay attention to what information is requested and attempt to make it easier to find such information in the future. TWGC also uses invisible pixels, sometimes called web beacons, to count how many people visit certain web pages. Information collected from invisible pixels is used and reported in the aggregate without personally identifiable information. TWGC may use this information to improve marketing programs and content. Within the Members area of the website we provide a profile section. Filling this information makes it easier for visitors to conduct certain functions. We respect our visitors' privacy and maintain their profile information on a secure server. Personally identifiable information can be accessed and updated by the member. TWGC will not use our visitor's confidential information for purposes, which are not disclosed to or authorized by the visitor. Visitors have the opportunity to review the information they provide and update it at any time. From time to time, TWGC asks visitors for their email address in order to provide relevant information such as reservation confirmation and offers. Email addresses may be joined with other information provided at our website and may also be augmented with other data sources. By providing their email addresses to us, visitors may receive email. Visitors will always have the ability to accept or decline email communications from TWGC. Email communications is sent only to people who have consented to receive email from TWGC or by our carefully selected third parties. At the time of email capture, TWGC will advise the visitor that we will use the email address for service and product information, as well as marketing and promotional communications. At any time a visitor may opt-out of receiving email communication by following the directions posted in every email, or by contacting a TWGC customer service representative to opt out of email communication. Visitors may receive periodic offers and information from TWGC about our products and services, as well as offers and information from TWGC carefully selected marketing partners. Visitors may also receive offers and information directly from these selected third parties. Visitors who do not want to receive marketing information from TWGC and/or these third parties in the future, have the option to contact us in order to decline such communication. In cases when a visitor voluntarily provides personal information in response to an email (a survey or a purchase, for example) TWGC (or a third party engaged by TWGC) will inform the visitor how this information will be used. For example, information may be used so visitor can receive goods, services or information that was requested. TWGC may also use this information in aggregate form to get a better understanding of the type of individuals responding to specific offers. Sometimes TWGC runs sweepstakes and contests. We ask people who participate to give us their contact information (like their email address). If a visitor participates in a sweepstakes or contest, his/her contact information may be used to reach him/her in connection with the sweepstakes or contest, and for other promotional, marketing and business purposes. All TWGC sweepstakes/contests entry forms will provide a way for participants to opt-out of any communication from the sweepstake's/contest's manager that is not related to awarding prizes for sweepstake/contest. Entry forms will further provide contestants with a choice whether to receive email marketing materials from our carefully selected third parties. When a visitor enters TWGC sweepstakes/contest, the information the visitor provides is not shared with any third party, unless the visitor agrees to such by checking the opt-in box on the sweepstakes/contest entry form. By accepting the prize, the winner agrees that TWGC (and those acting under its authority) may use the winner's name picture/portrait, likeness and/or voice for advertising and other promotional purposes without further consideration, unless prohibited by law. Images taken by TWGC may be used for marketing purposes. TWGC has unrestricted use of these images including, but not limited to, web, printed collateral, social and media and subjects will have no future claim to images. From time to time TWGC may perform research (online and offline) via surveys. All surveys responses are voluntary, and the information collected will only be used for research and reporting purposes, to help TWGC to better serve its visitors by learning more about their needs. The survey responses may also be used to determine the effectiveness of our websites, various types of communications, advertising campaigns, and/or promotional activities. If a visitor participates in a survey, the information given by the visitor will be used along with that of other study participants (for example, TWGC might report that 50% of a survey's respondents are women). TWGC may share anonymous individual and aggregate data for research and analysis purposes. TWGC may also contact participants through email for other purposes if given permission to do so. For example, if participants indicate in survey that they wish to join a TWGC online research panel. When a participant submits a survey, the email address and the response to the "future contact" question described above, are automatically stored in a database that is intentionally separated from the participant's survey responses. Therefore, the participant's email address is not tied back to the survey responses. TWGC will not share with third parties the personally identifiable information provided by a survey participant in response to survey questions. For all other purposes, only aggregate data that is devoid of all personally identifiable information will be used. Participation in TWGC's surveys is voluntarily. Participants who do not whish to receive email communications from TWGC may opt out of the receipt of such communication by notifying us as provided below. 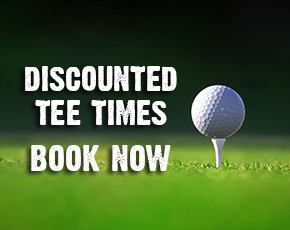 To help you plan your next golf event we have put together Golf Event Packages. These packages are a guide, and can be tailored towards your requirements.